Why is a gift in my Will to Unicef so important? Leaving a gift in your Will to Unicef will help to build a better world for children. Gifts in Wills give us the funds we need to reach the most vulnerable children, wherever they are and whatever they need. You can be sure that a gift in your Will to Unicef will transform children’s lives. Read more about the power of your legacy in our free Gifts in Wills guide. Why should I leave a gift in my Will to Unicef? Unicef is the leading organisation for children. We ensure more of the world’s children are vaccinated, educated and protected than any other organisation. In fact, Unicef provides 80% of the world’s life-saving emergency food to help children like Alice. We have been working for over 70 years to help children. And until every child is protected, we won’t stop. Little Alice from Liberia can now walk, play and dance after recovering from malnutrition with Unicef's support. In 2017 alone, Unicef provided school books and other learning materials to 12.5 million children around the world. You can join the Unicef Generation who are building a better world for every child. It’s easy to leave a gift in your Will. When making or updating your Will, you just need to let your solicitor know your intentions. There is no obligation to let us know and you can change your mind at any time. At Unicef, we respect that the decision to leave a gift in your Will is special and personal. That’s why we have developed a free Gifts in Wills guide to provide more information to help you consider this decision in your own time. Our guide includes tips for making or updating your Will and how your legacy will have a lasting impact for children. Unicef is now over 70 years old. We were created in 1946 to help children affected by World War II in Europe and China. We have grown with the help of our supporters, to become the world’s leading organisation for children. Like Unicef, you have grown too. Let’s look back at memories together. Create a personalised Timeline video with us. 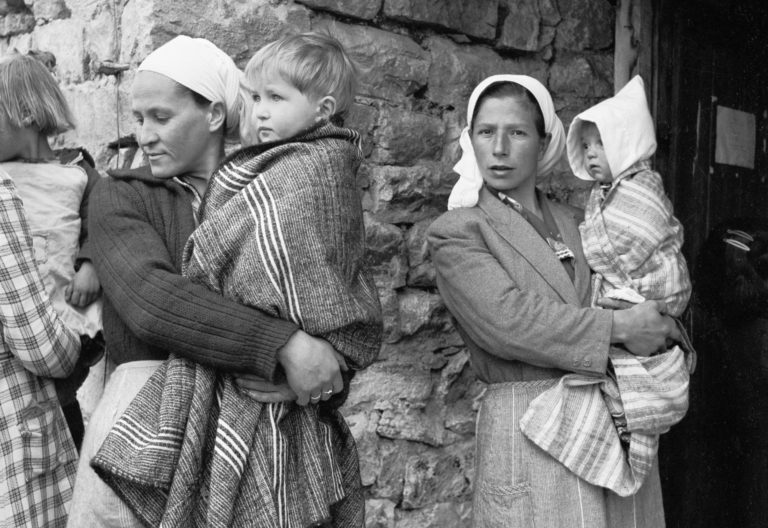 Mothers, in 1950, bring their sick children to a mobile health clinic supported by Unicef in rural Greece. You can create your own personalised Timeline video. Why leave a gift in your Will to Unicef?